The United Nations Yemen envoy has voiced great concerns over Saudi Arabia-backed militants’ attacks on the Port city of Hudaydah. 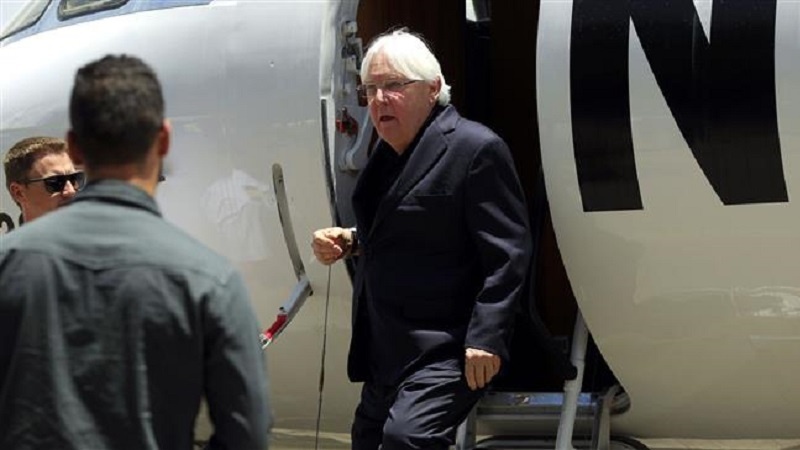 Griffiths, who was wrapping up a three-day visit to Yemen, added that talks had been positive, but further stressed that the military action on Hudaydah would have a negative impact on its civilian population. “We are working very hard, focusing every day on moving forward in the political process. My aim is to restart negotiations which have not taken place for a very long time – for too long – and I want that to restart in the very near future,” he added. Griffiths is scheduled to give a report to the UN Security Council on June 18. On Monday, a United Nations vessel delivering humanitarian aid to the Yemeni Port of Hudaydah came under a suspected Saudi attack. Yemen’s Red Sea Ports Corporation said that the vessel used by the UN’s World Food Program (WFP) was attacked after delivering a shipment at Hudaydah. Hudaydah, a port in western Yemen which is controlled by the ruling Ansarullah Movement, is under a blockade by Saudi Arabia and its allies fighting the Ansarullah fighters. Riyadh claims that Yemen’s Ansarullah movement uses the port for weapons delivery. According to figures released by the Yemeni Ministry of Human Rights, more than 600,000 people have been martyred or injured in the Saudi war since 2015.